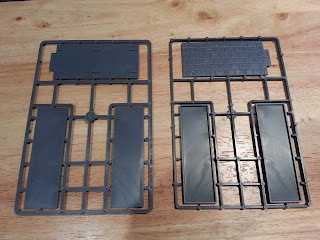 In this second part of the review (the first is here) I'm going to write about the second kit that makes up the castle. 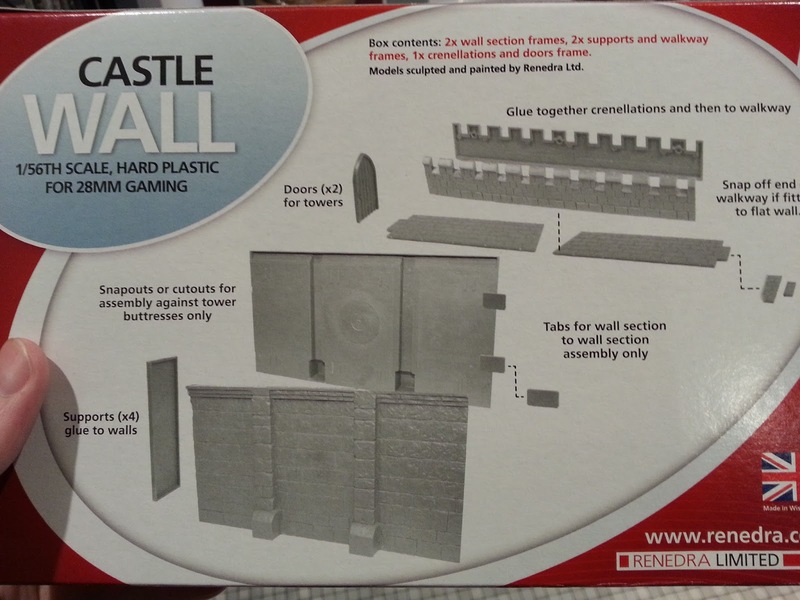 Both the wall and the tower are available either as separate kit or as bundle, check the Renedra website for details. There aren't many additional bits, the frames allows to build a wall and provided a couple of doors that are supposed to be glued on the side of the tower. 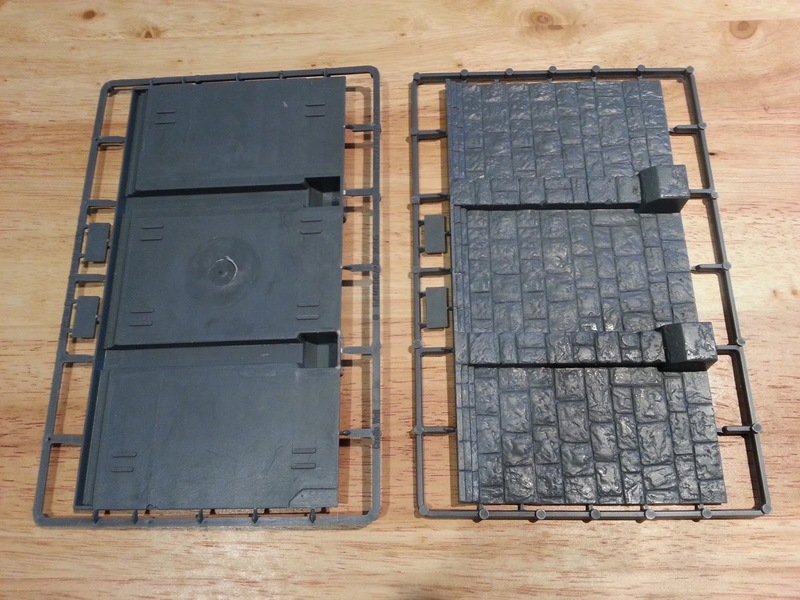 The walkways are designed to fit either the "flat" side of the tower or the other one. There are a couple of flat tabs that can be used to connect more walls together. If you want to wreck the wall you can probably cut through it with a dremel or something similar. (this plastic is pretty thick!). These are supposed to touch the wall perpendicularly but you could probably trim the edges if you want to build a less ordinary castle. 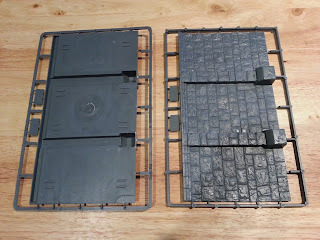 2 x side wall frame: this is used to make both the internal and the external wall (they are the same). 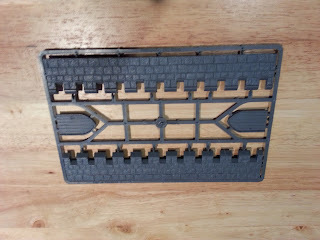 2 x walkways frame: the bit on the top is the actual walkway and those two flat things below are supposed to be glued inside the wall. 1 x crenellations frame: crenellations and a couple of doors to be glued on the side of the towers.